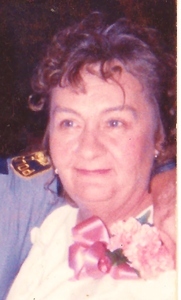 Barbara K. Blevins age 68 of Mansfield, OH., passed away Sunday, April 28, 2013 at her residence. On October 5, 1944 in Ashland, OH., Mrs. Blevins was born to the late Robert and Betty Jane(nee’ Jackson) Renner. She had been a resident and homemaker in Richland Co. most of her life. Mrs. Blevins had been married to Howard Blevins who preceded her in death. She is survived by one daughter, Lorrie Board of Mansfield, OH. ; two sons: David (Brandi) Renner of Willard, OH. and Robert (Jodell) Newberry of Mansfield, OH. ; 10 grandchildren, 6 great-grandchildren; one brother, Jim Renner of Galion, OH. ; and special friends: Evelyn Whitmore and Ms. Bonnie Middleton. She was preceded also by a daughter, Brenda Williams, two brothers: Joel and Robert Jerry Renner; one sister, Joanne Virgili; and a ½ brother, Chuck Benepe.